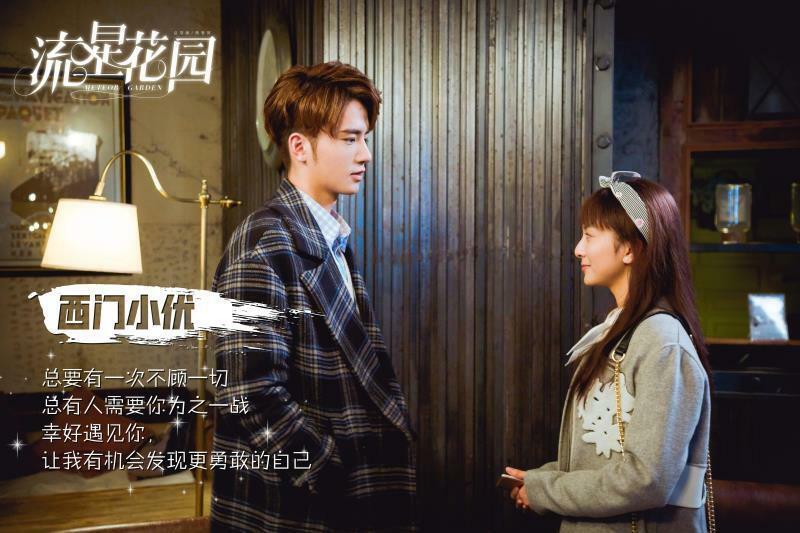 The success of the latest remake of Meteor Garden 流星花园 may be up for contention, but there's no denying that it has reignited interest on the love story between Dao Ming Si and Shan Cai once more to be appreciated by a new generation. The series finale garnered CMS52 ratings of 0.707% and CSMNationwide ratings of 0.602%. Online views have surpassed 5 billion by the time the show ended. 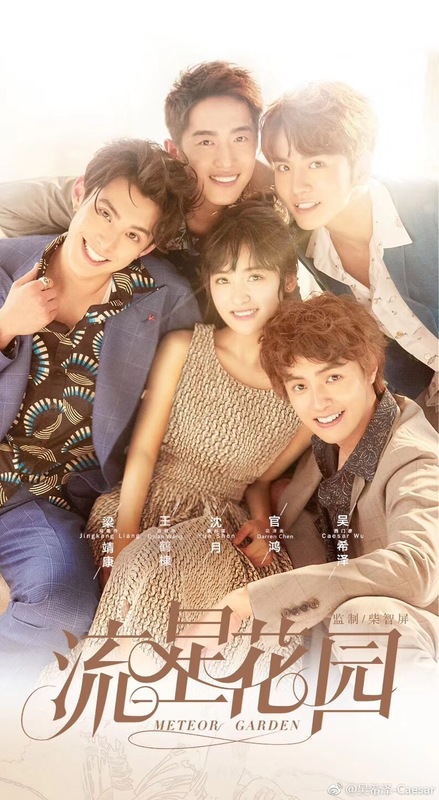 It's not the euphoric phenomenon that took the world by storm 17 years ago, but it's not a bad ending for the young cast led by Shen Yue, Dylan Wang, Darren Chen, Leon Leong and Caesar Wu who are only at the beginning of their careers. Our main couple. Shan Cai and Dao Ming Si. The noble second lead. Shan Cai and Dao Ming Si. F4. Dao Ming Si, Hua Ze Lei, Ximen and Mei Zuo. 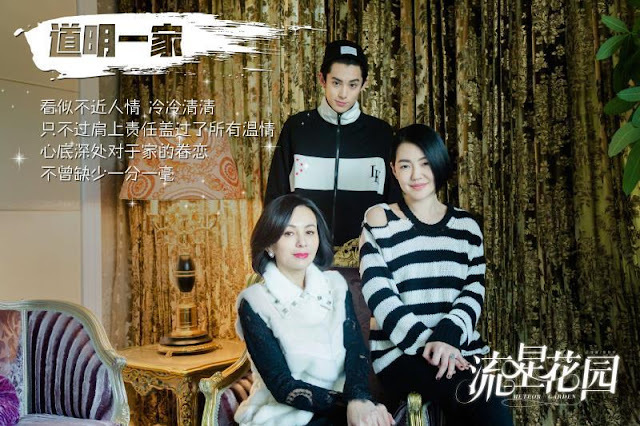 I really enjoyed watching Meteor Garden Taiwanese version at that time but this remake is very cringe. I dropped it after 3 or 4 eps. F4 actors are all newbies and their acting come off as awkward and expressionless. 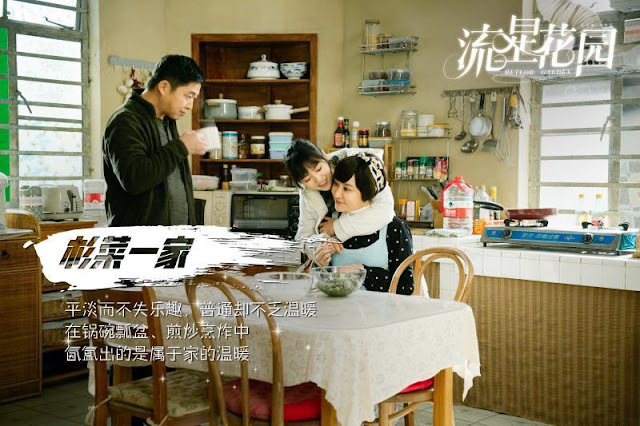 Shen Yue is decent in her prior dramas but in this one, she's not that great either. 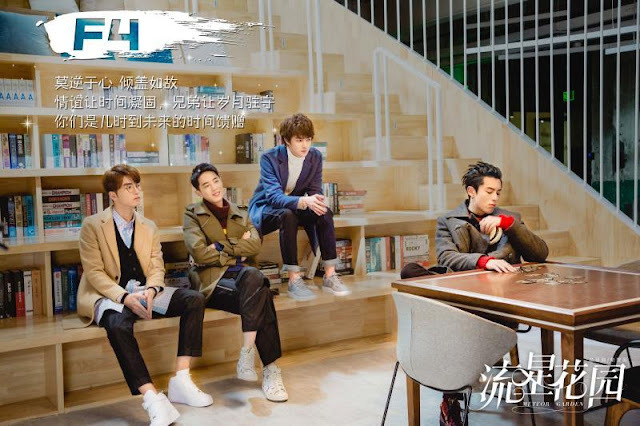 All F4 members have visuals and heights in place for female viewers but their acting have left much to be desired. I guess I am too old to enjoy Meteor Garden like I did with Barbie Hsu, Jerry Yan and Vic Chou. Younger generations my enjoy this more than i do. The story is probably too out of date already. I watched sweet combat instead even though acting in sweet combat is pretty bad too. Wow Oscar Awardees wasting their precious time to comment on bad acting lol! here. The MG 2018 bad in acting, really now. How I wish I can see you two act in a romcom.